Finally! Spring has arrived. You and your kids are probably very ready to get out of the house, breathe the fresh air, and learn some great seasonal crafts! Sisters Know Best to the rescue! 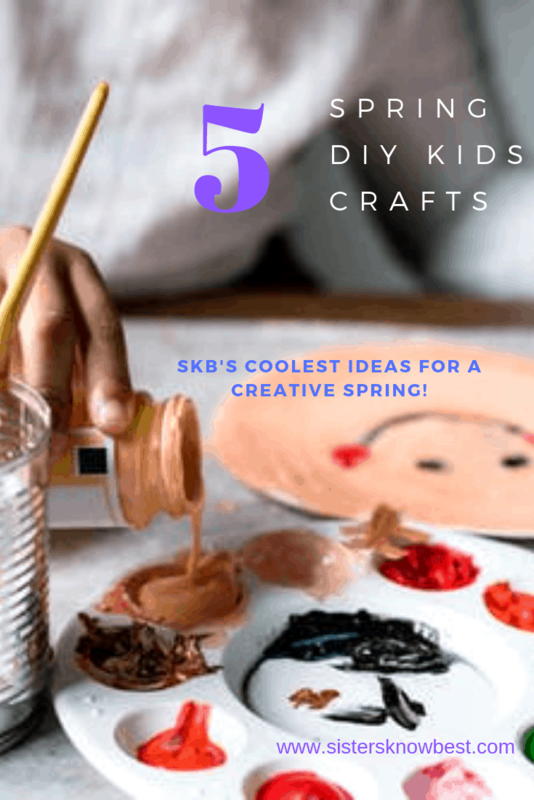 We’ve found some of the coolest spring crafts for kids and compiled them all in one place. Share this post with your kids and pick one, or more, to do this weekend. A little watercolor paint and a lot of fun. Presto! 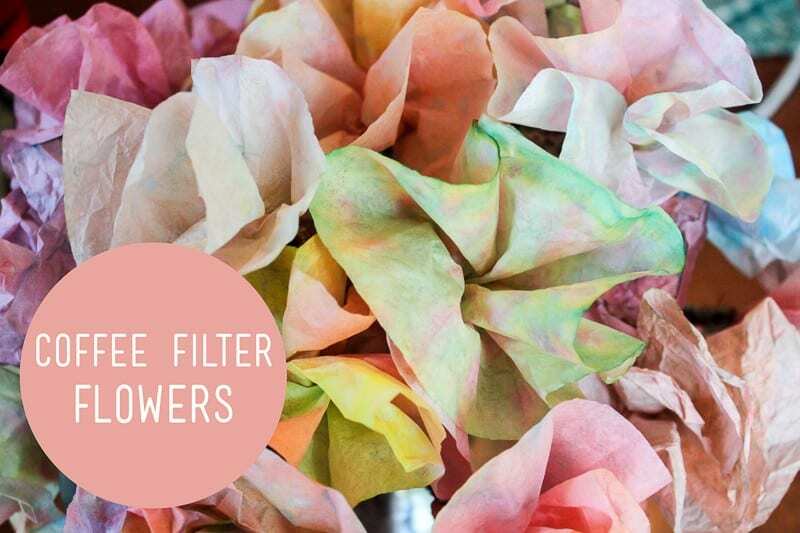 Those boring white coffee filters are transformed into gorgeous spring flowers you can display on a side table or as a centerpiece in the kitchen. Pipe cleaners make the perfect stems! Get the full directions here. 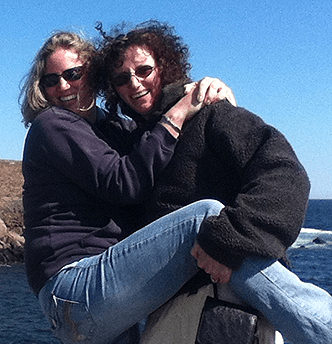 Spring means wind and rain…and rain means rainbows! These adorable rainbow wind catchers will look great hanging inside a window or outside on a tree. 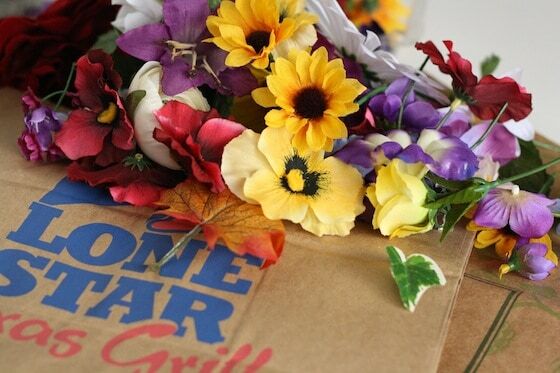 All you need is paper plates, paint, streamers, and glue. See the whole project here. What little girl doesn’t love bunnies? Bunnies bring both Easter and spring to mind. Most kids dress up as a bunny by using a bunny ear headband. With this adorable bunny mask, they can have a bunny face to go with those bunny ears. See the project here and consider crafting some bunny paws out of mittens and sock to go with it. Super easy to make with the inner roll from a paper towel. 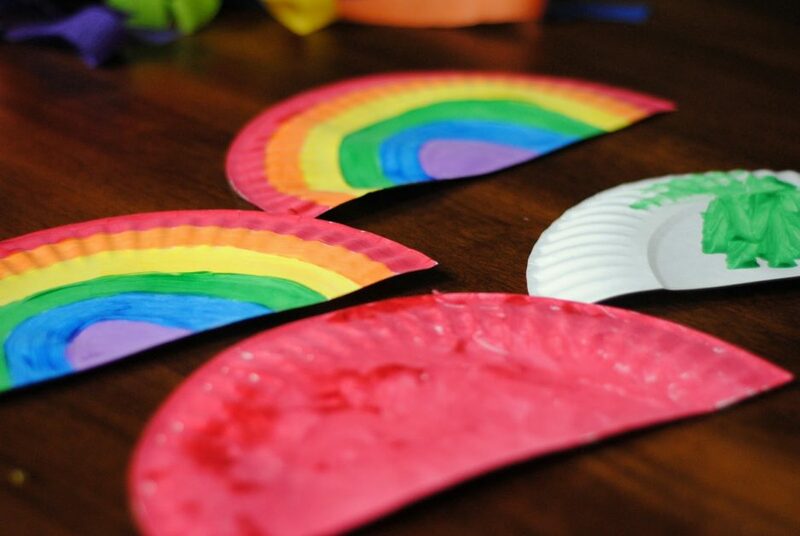 These are great for entertaining kids long after the craft project is complete. The neat, soft percussion sound can be used to have a dance party. Just be careful! If you dance with the rain stick outside too much, you just might find yourself caught in a deluge! Get the project specifics here. Little girls love to dress up as princesses and fairies. Help them design and create their own fairy tiara with a paper bag from the grocery store. They’ll probably love using the glue gun too! You may need to get some faux flowers and raffia, but feel free to let your (and your kid’s) imagination and creativity take over. Get the how-to here. We’d love to see a picture of your complete spring kids craft projects – or those of them being worked on. If you’d like to send us some or to get more great DIY and craft ideas, visit us on the web.